Creating well-decorated interiors is about hiring professionals that can give your ideas form and provide unique solutions. 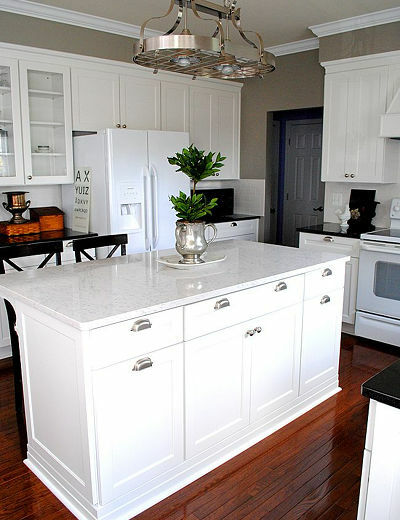 We at Classy Kitchens are a full-service custom kitchen design and installation company that can skillfully and expertly handle all your home renovation requirements. We design and install custom kitchens, laundries, vanities and hinged built in wardrobes. 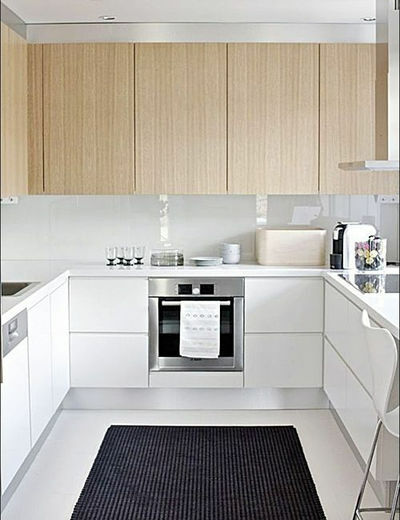 With over 12 years of experience in this industry, we are one of the leading kitchen design companies in Sydney. In addition to designing functional and aesthetically-appealing kitchen spaces, we know what it takes to provide custom laundries and vanities, at highly affordable prices. 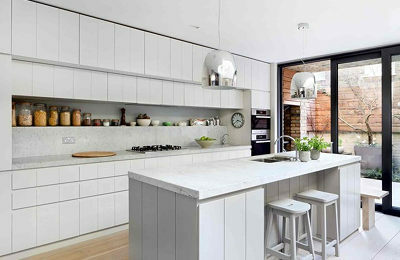 Kitchens need to be comfortable and welcoming, while at the same time being functional, practical and hard wearing. Our specialists ensure that all these aspects are kept in view while handling the renovation work for you. We can provide custom kitchen designs in various styles such as contemporary, modern, country kitchen design, and French provincial etc. We will also help you select benchtop materials that will be durable and blend in with the overall aesthetic of your newly-designed kitchen. Some of the commonly used benchtop materials in these projects are laminate, granite or other natural stones, quartzite, concrete, stainless steel, and timber. 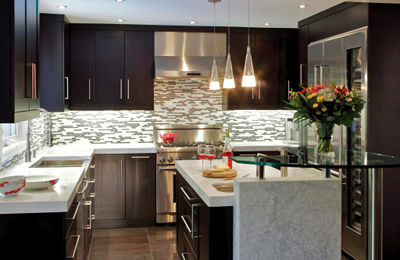 We are the professionals that provide start to end design and installation services. Whether you want a new Kitchen design or partial design services for an existing kitchen, our experts will work closely with you to provide the best solutions so you get beautiful kitchens that will last for decades. As a Sydney kitchen installer company that has handled thousands of similar projects in the past, we understand that every homeowner will have very specific requirements in terms of style, functionality, design, and materials. Our experts keep all these factors in view and ensure the final product exceeds your expectations. While there are a number of companies in Sydney that offer similar services, you will find that our price very reasonable and will fit perfectly into your budget. Bathroom vanities are very essential storage features and are used to house various personal care products. These allow you to keep all your things within easy reach and in an organised manner. When we handle a custom design vanity, you can rest assured that the accessories and vanities will blend in with the styling of your space. All the features will be functional and aesthetically appealing. Our focus is on providing high-quality, affordable bathroom vanities that will be durable and easy to maintain. Whether you want a traditional floor-mounted vanity, a mounted shelf vanity or a wall-mounted cabinet vanity, we can provide customised services. Our home joinery solutions are built to meet the needs of discerning customers that will settle for nothing but the best. Many homeowners prefer to have built-in wardrobes as these features don’t eat into the floor space in their bedroom. Our designers go to great lengths to ensure attention to styling and appearance, finish and durability coupled with design that’s functional and practical. We provide custom installation of mirrored and timber hinged wardrobes. All wardrobes are made to order and this means you can get the door styling, finish, fixtures, internal partitions, and accessories you want. Whether you need timber, coloured or mirrored doors, the best custom wardrobe design will be created to fit the unique style, architecture, and décor of your home. If your wardrobe has started look dull and dated, but the rest of the feature is in good condition, you can opt for wardrobe door replacement. This can work out to be a very economical partial wardrobe design option for you. Kitchen Showroom – View our stunning range of Classic, Traditional and contemporary Kitchens on display at our Willoughby Showroom. 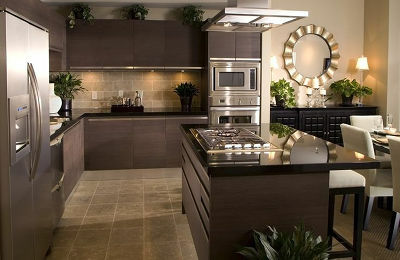 Custom design services – Getting excellent custom kitchen design is neither simple nor easy. 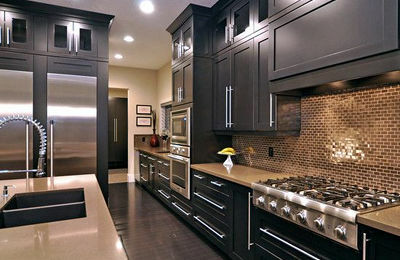 Today, most kitchen designs are done by companies that are more geared towards providing modular kitchen construction. 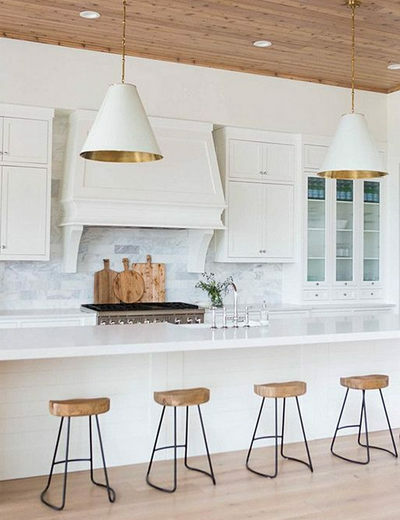 For your kitchen to truly fit in perfectly with your lifestyle, styling preferences and space, its best to opt for custom joinery designed by experienced professionals. Latest technology and techniques – We recognise that our creativity and skills need to be backed by technology. All the joinery is manufactured at a state-of-the-art manufacturing facility in Condell Park to ensure that we can turn your ideas into reality. We also focus on factors like ergonomics and movement flow in the space. This ensures your kitchen, bathroom, and bedroom are comfortable to use and stylish too. Our kitchen renovation and bathroom vanities design experts will keep all special requirements in view while handling your project. License and insurance – We are a fully-licensed and insured company that provides high-quality home joinery services that are right in line with industry standards. We also have insurance coverage to protect our clients’ interests from accidental damage while the work is in progress on your property. Guarantees – While we are cheap bathroom vanities and home kitchen design contractors, we never compromise on the quality of our services. Our company provides guaranteed services which means we do the work right the first time around. Cost effective Services – While maintaining very high levels of quality in the materials used and services offered we also make sure that you get cheap kitchens, bathrooms, and wardrobes that will provide years of trouble-free service. If you want to know more about our services feel free to visit our showroom in Willoughby or contact Classy Kitchens at 02 9772 0394. You also have the option to Contact Us via our online form and we’ll be happy to help. Copyright &COPY; 2018. Classy Kitchens.